I saw this recipe in a recent GOOP newsletter (Gwyneth Paltrow’s newsletter that I subscribe to). The issue was about “A Better Breakfast” and reducing the amount of sugar that you start your day with. I really do try to eat healthy and make the best choices I can but I struggle with the amount of sugar that is in everything I like to eat. Yogurts, cereals, and my nemesis…bread! I love having a piece of toast in the morning, but even a sprouted whole grain bread like Ezekiel bread doesn’t do me any favors. I am much better off with a bread free breakfast that has plenty of protein and heart healthy fats. That type of breakfast keeps me full all morning and doesn’t leave me craving carbs at my next meal. I am by NO means a non-carb eater. As you can see from my blog posts I love to cook whole grains and pasta. I’m just trying to start my day with the best option so that I can make better choices for the rest of the day. If I get my carb fix at dinner, at least I wasn’t eating them all day. 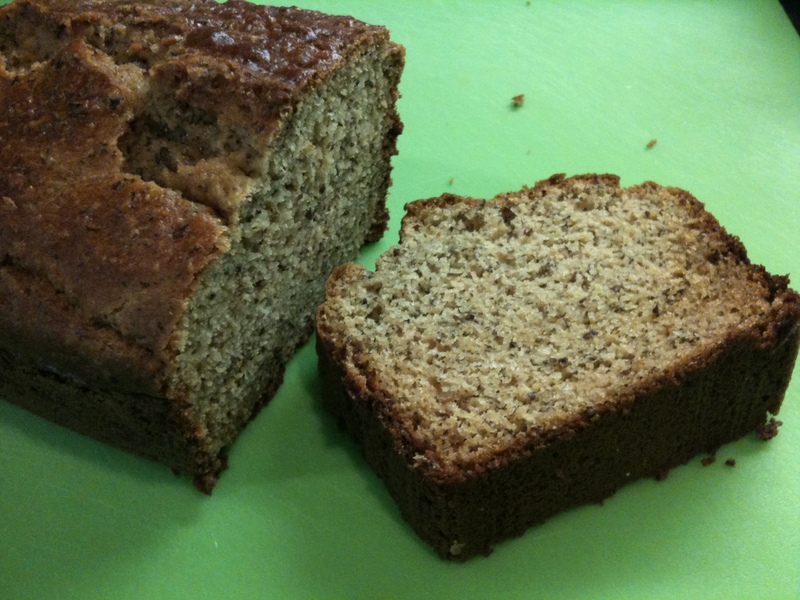 This bread was very simple to make in my food processor. It totally satisfies my morning toast craving. 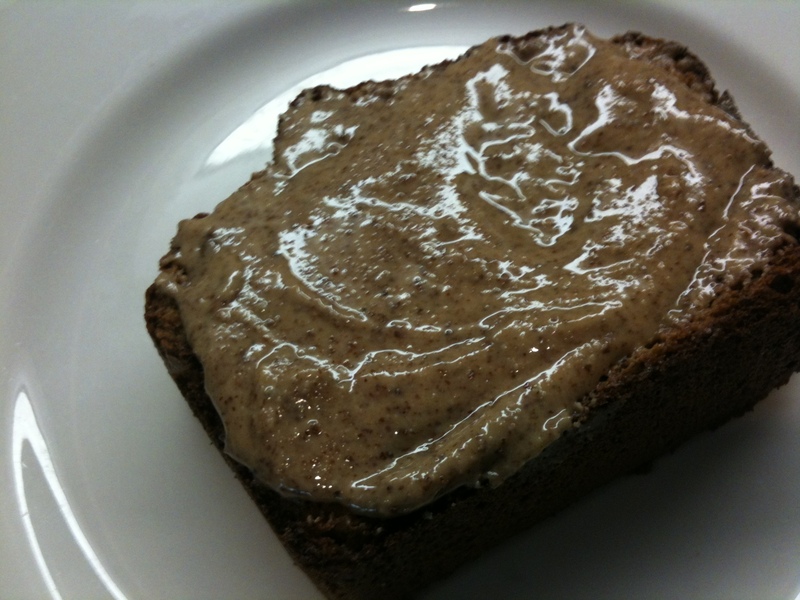 I will have a slice with almond butter and a berry and spinach smoothie – the perfect breakfast for me! http://goop.com/newsletter/175/ There are a lot of good ideas in it. Pour batter into a greased 7.5″ x 3.5″ non-stick loaf pan (or line with parchment paper.) Bake at 350° F for about 40 minutes. Cool and serve.